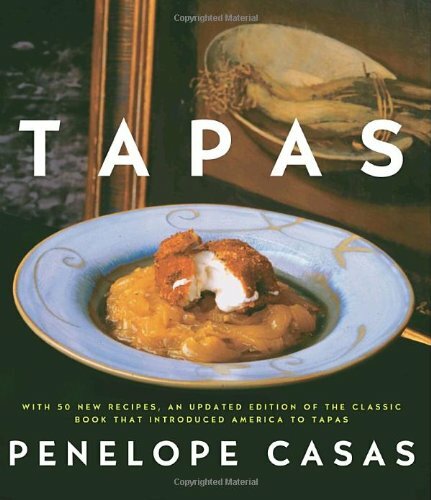 Penelope Casas, who introduced the classic little dishes of Spain to American cooks more than twenty years ago, now gives us a splendid updated edition of that seminal book - with fifty exciting new recipes and eight full pages of new color photographs showing tapas in all their glory. Here are all the appetizer dishes that have long been a tradition in Spanish cuisine - mélanges of seafood in aromatic sauces; little ragouts of meat, sausages, beans; colorful salads and marinades; the omelets called tortillas that enclose a variety of tasty tidbits; banderillas, zesty combinations on skewers; and empanadas, savory delights encased in pastry. The new recipes Casas includes reflect the influence of the innovative cooking in Spain today—dishes seasoned with soy sauce or balsamic vinegar; ingredients wrapped in flaky phyllo pastry; accents of goat cheese and arugula; foie gras in elegant presentations.